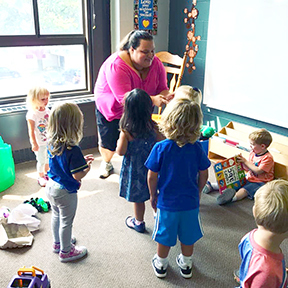 Since 1981, families have turned to St. Paul's Early Learning Center for quality childcare in a loving, learning environment. Childcare for ages 6 weeks to 5 years. Get more information in our Policy and Procedures Handbook. 9:30 am to 2:00 pm, Monday through Thursday, September through May. May choose 1-4 days based on availability. Please contact Julie Hanlin (jhanlin@stpaulsumc.org) for more information. To register, complete and mail or drop off the registration form with $50.00 registration fee per child. Or contact Julie Hanlin, St. Paul's Early Learning Center Director, at 319-363-6349, jhanlin@stpaulsumc.org for more information. 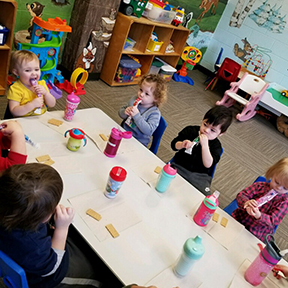 St. Paul's Early Learning Center provides loving care and fun activities for your preschool-age children using weekly themes and age-appropriate curriculum. We teach faith-based values that we all hold in common, such as loving our neighbors, sharing, respecting our differences, and caring for others. We welcome and respect children of all faiths. The focus of St. Paul's Learning Center is learning through fun! Children take turns bringing a nutritious mid-morning snack. 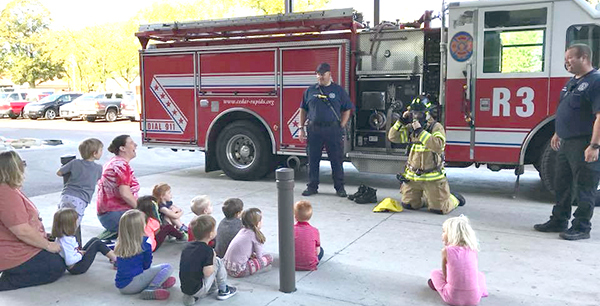 Parents are asked to provide a nutritious sack lunch. 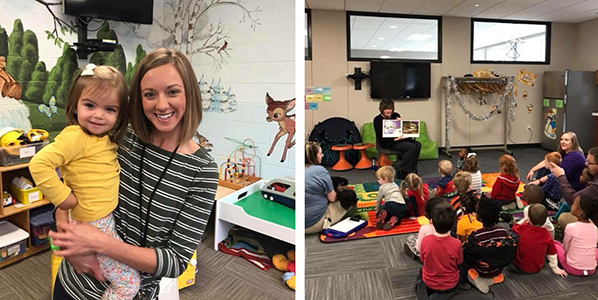 St. Paul's Early Learning Center is licensed by the Iowa Department of Human Services. Learn more about other children’s programs at St. Paul’s.